There’s nothing worse than having a newly renovated kitchen with a stinky sink! If you’ve been following me then you know my kitchen renovation is in full swing. It’s starting to feel new all over again, however my sink is not quiet there. I typically clean my entire kitchen sink, but sometimes that’s just not enough. So really cleaning the garbage disposal is the only way to keep it smelling fresh. The best way to do that is with Lemon Lime garbage disposal bombs. Keep reading to learn how to make them! But for the rest of my kitchen; including the sink, I use a Scotch-Brite® Heavy Duty Scrub Sponge. If your wondering those are the green sponges. The Scotch-Brite® Heavy Duty Scrub Sponge are great for cleaning tough, baked-on messes 50% faster than other sponges. They’re also great for use on Pots, Pans, Oven Racks, Grill Racks, Sinks, and even Tools or Tires. 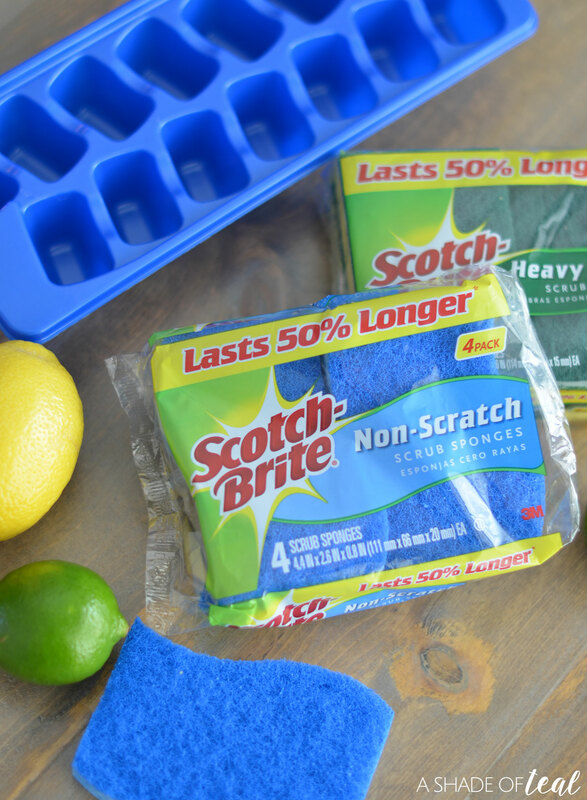 If your looking to clean without scratching, then you’ll love the Scotch-Brite® Non-Scratch Scrub Sponge, or the Blue sponges. They’re great for use on Non-Stick Cookware, Counter Tops, Cook Tops, Tubs, Shower Tile, Windows, and Dishes. So ready to make these Lemon Lime garbage disposal bombs? Here’s how. Step 1 // Gather all your ingredients. Step 2 // Mix the baking soda, salt, dish soap, lemon & lime juice, and flour together. Step 3 // The consistency should be thick but all well mixed together. You can play with it by adding some water to thin it or flour to make it thicker. Step 4 // Place in ice cube tray and let dry overnight. Step 5 // Once dry, they’re ready to use! 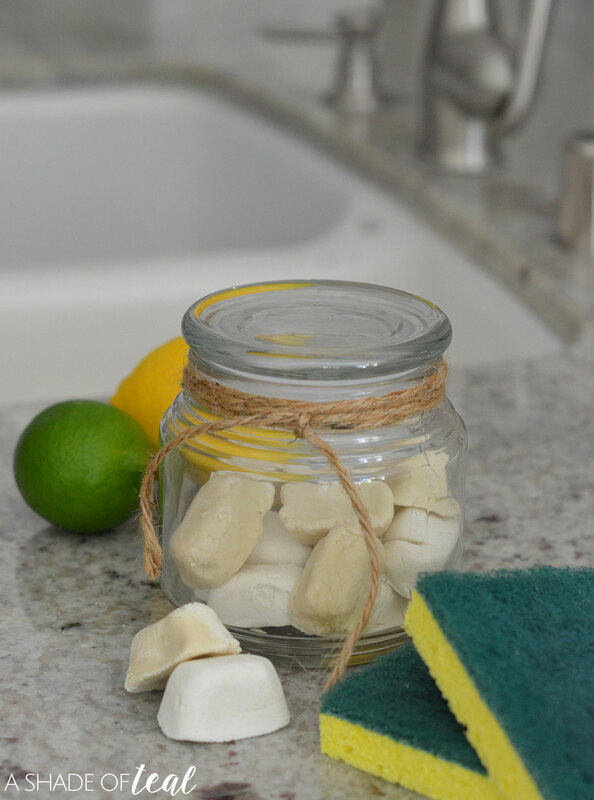 These Lemon Lime garbage disposal bombs are the perfect recipe to freshen your sink. The mixture of the lemon & lime is just the right amount of fragrance. I typically throw in 2 at a time when using them. 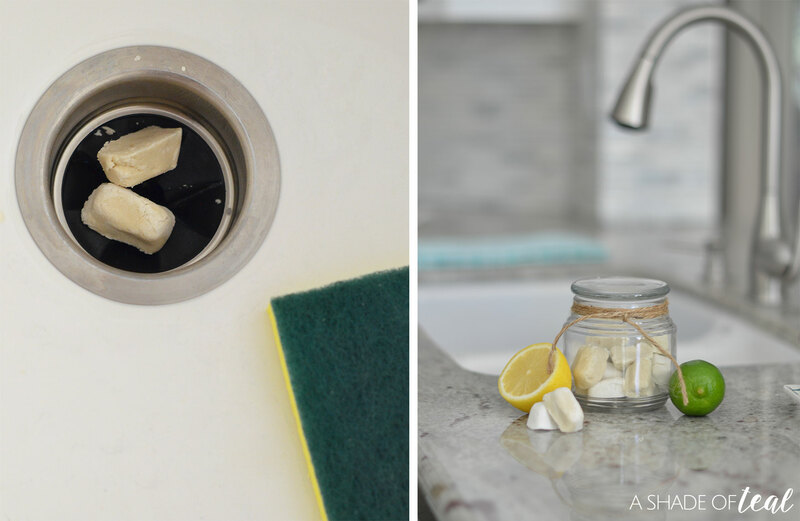 You can either toss them in and turn on your disposal, or you can add some water to the bombs and use your Scotch-Brite® Scrub Sponges to clean the sink. Both options work great! So have I convinced you to be #TeamSponge yet, or are you still #TeamDishcloth? 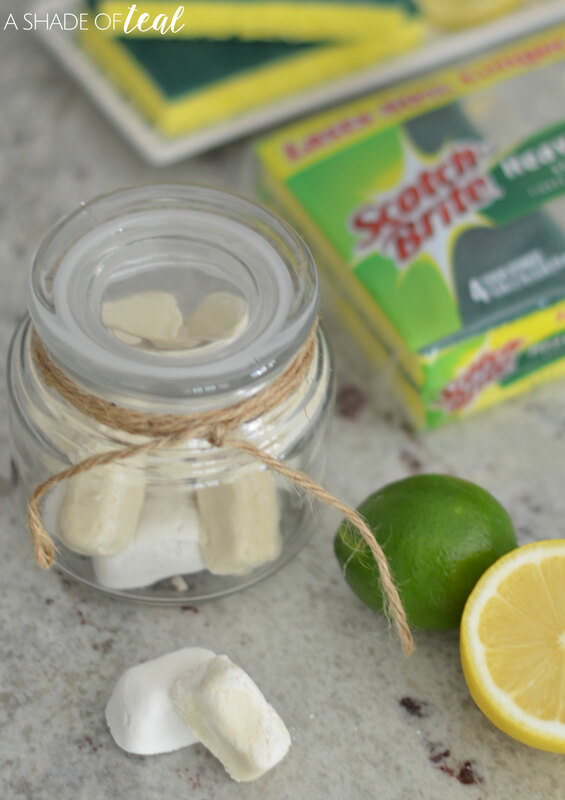 Either way, I hope you join #TeamSponge with me and go enter the Scotch-Brite™ Scrubstakes for a chance to win $20,000 towards a kitchen makeover . That’s a pretty amazing prize! 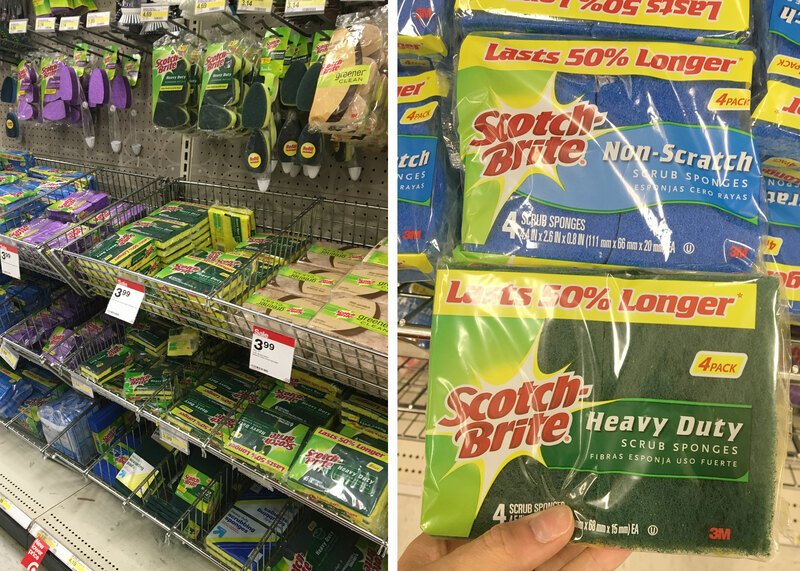 Don’t forget to pickup all your Scotch-Brite® needs at Target in the cleaning aisle. But before you do that grab your Coupons.com or Ibotta coupon below. « Modern Rustic Kitchen Makeover // ORC Week-4: Backsplash! I’m always looking for different things to keep my house clean. This seems like solution to help keep the kitchen clean. Thanks Jay, they work great! Thank you for sharing this. I’ve been wanting to make some of these but didn’t have a recipe. I keep a Scotch Bright pad at my sink at all times. Scotch brite has been a part of our kitchen. Even when I was young, I already grew up seeing this in our kitchen. haha I loved the quality of the product. Indeed a quality product. Thanks Anosa, they are a great brand! While I don’t have a garbage disposal I think these would be awesome to clean up our sinks around the house. Definitely going to give these a try! They work great as sink cleaners as well. Sounds like a great idea & love how you showed them in a bowl as of course, you’re making a dozen at a time. Curious as to how often you use them … and pinned for when I need a bomb! Thanks Tina! I use them about once a week for a refresh or more often if it starts smelling. This sounds like a great idea for cleaning garbage disposals. I don’t have one, but I’ll have to suggest this to my friends who do. They also work great as sink cleaners, thanks for stopping by! Thank you for this! I need to try these bombs! Sometimes the garbage disposal just reeks. Plus I love those sponges! Yep, it can get pretty smelly! This is such a brilliant homemade kitchen craft. 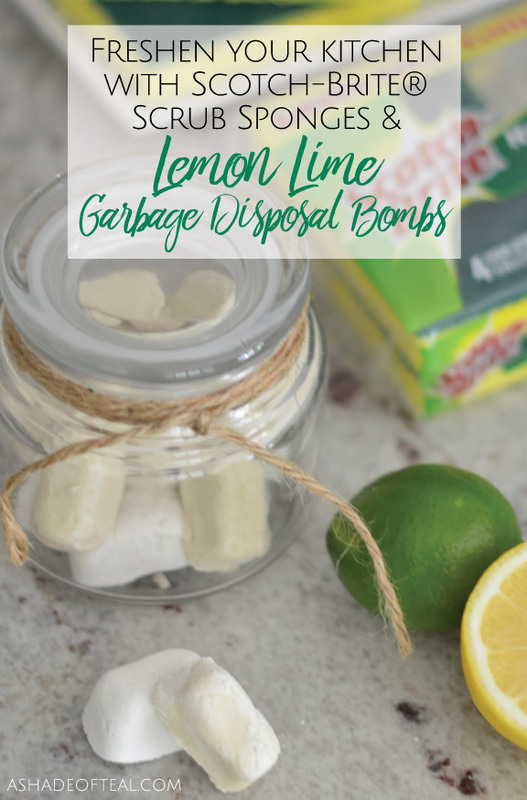 Everyone who has a garbage disposal needs these lemon lime bombs! I use this brand of scrub pads and I like your idea of making disposal bombs and would try it but I don’t have a garbage disposal on my sink. Good idea anyway. These work great as a sink cleaner as well. This brand has been part of our family’s life for many years! And oh how much I need those disposal bombs! Same here, I’ve been using them for years. 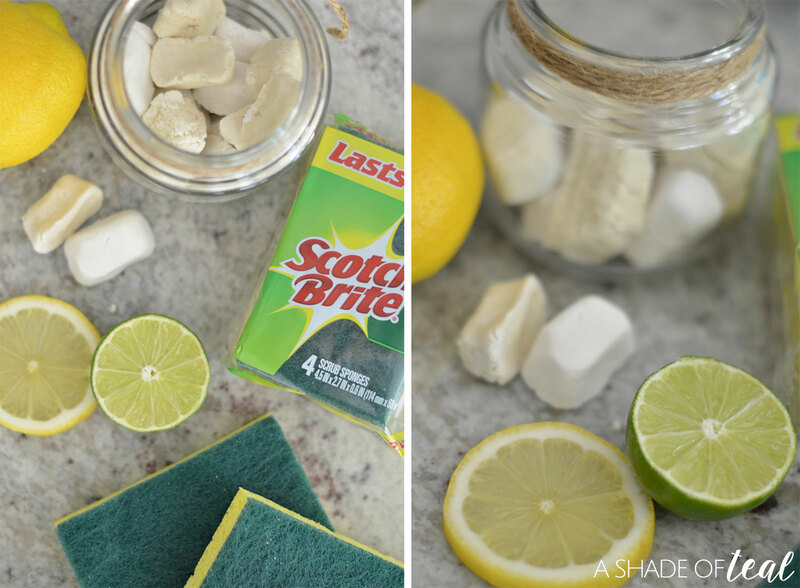 I use scotch brite sponges all the time. They work the best at cleanup time. Scotch brite is the best brand of cleaning sponges for me. They have many different kinds of sponges that would meet your every cleaning need. Those lemon lime garbage disposal bombs would be nice to have handy. I’ll make some too. Thanks for the directions on how to make them. This is seriously such a cool idea! I sometimes grind herbs in my disposal but the smell wears away quickly. Thanks Alayna, the smell on these does last for a little bit. That’s a great idea. I don’t have a garbage disposal, but I would use them to clean my sinks. This sounds like it would make the kitchen smell delicious. I am goign to have to give it a try.